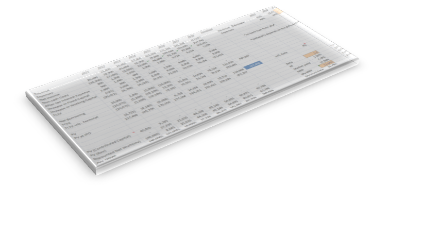 Financial modeling is a crucial part of your business plan. Financial modeling is not only an indispensible stepping stone to your success, but also a vital tool in attracting investors. After careful review of your business idea and assumption, we will develop an appropriate financial model to test the feasibility of your business model, reflecting your feedback. With soft-coded cells and separate input worksheets, the financial model will be fully adjustable to variable inputs you might encounter as you propgress in your business.